Today, Verizon Wireless is giving away free digital gifts for their Connection Day promotion. Many of these free gifts are geared towards holiday travelers. Free digital content from Amazon and books from Audible. A full day of iTunes radio with limited interruptions. The latest editions of select Conde Nast magazines, including titles such as Wired, Vanity Fair, Vogue and many more. 30 free minutes of Gogo in-flight wi-fi. Free Fl-Fi for select Jet Blue flights. Stream ad-free Pandora One radio. 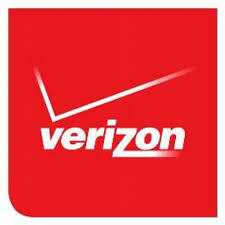 You don’t have to be a Verizon customer to take advantage of the free offers, but there is a bonus offer of exclusive access to movies and TV if you are an existing Verizon FiOS customer. There are terms and conditions which apply, so read the fine print. The offer is only valid until midnight! You can get more info at the Verizon Connection Day page. This entry was posted in Sales and Deals and tagged Amazon, Audible, Boingo, Conde Nast, Fi-fi, Gogo wi-fi, Jet Blue, Pandora One, Verizon. Bookmark the permalink.